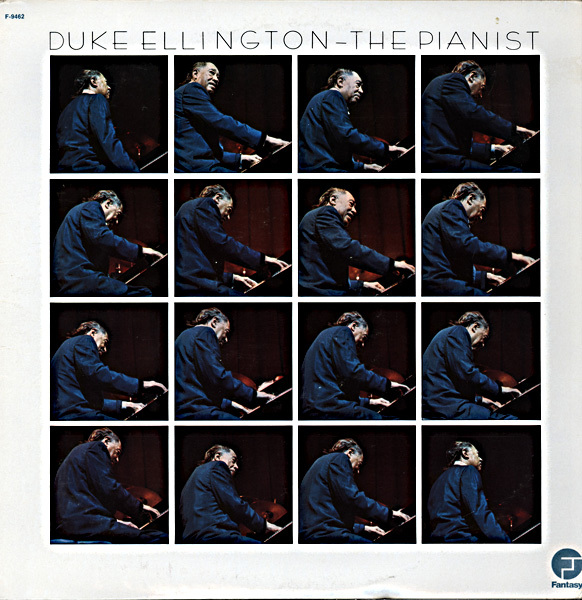 This version of The Shepherd by Duke Ellington is from The Pianist, recorded in New York City, July, 1966. Later it became a part of Second Sacred Concert. In the last decade of his life, Duke Ellington wrote three Sacred Concerts: A Concert of Sacred Music, Second Sacred Concert, Third Sacred Concert. Ellington called these concerts “the most important thing I have ever done”. Below you can also watch a videoclip from Norman Granz’s documentary “Improvisation”, where The Duke Ellinton Trio play The Shepard for Joan Miró. On a sunny July morning in 1966, two of the 20th century’s greatest artists–Duke Ellington and Joan Miró–met in the medieval village of St. Paul de Vence in the south of France. The meeting was arranged by the legendary jazz impresario Norman Grantz, who was producing a music festival at Juan-le-Pins while at the same time continuing work on a documentary film project he had started in 1950, called Improvisation. Granz had the idea of bringing Ellington and his trio to play in the garden at the ondation Maeght, where, as he explains in this excerpt from the film, by sheer luck Miró happened to be working. The two men couldn’t understand a word each other said, but showed each other their work. Miro took Ellington on a tour of his sculptures; Ellington and his trio played a couple of numbers for Miró. The song in the video is an E-minor blues with a call-and-response form that Ellington would later name “The Shepherd (Who Watches Over His Flock)” in honor of Lutheran clergyman John Garcia Gensel, who ministered to the jazz community in New York City. Although it’s true, as Granz says in the film, that Ellington first charted the song for his full orchestra at the festival, “The Shepherd” was not improvised on the spot. “The actual piece evolved over a period of time on the road,” said Lamb.